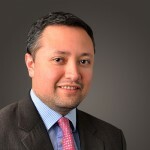 James R. Dugan, II, is the founding partner of The Dugan Law Firm, APLC. Mr. Dugan began his career working with the late Wendell H. Gauthier and the Law Firm of Gauthier, Downing, LaBarre, Beiser & Dean in the areas of class action, mass tort, and complex litigation, beginning with the seminal class action lawsuit filed against the tobacco industry on the basis of nicotine addiction, Castano v. American Tobacco, et al. which resulted in a multi-billion settlement. 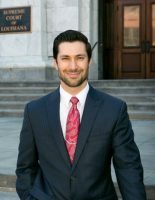 After Mr. Gauthier’s untimely death in December of 2001, Mr. Dugan formed the Dugan & Browne Law Firm, the predecessor to The Dugan Law Firm and he continues to specialize in class action and mass tort litigation. 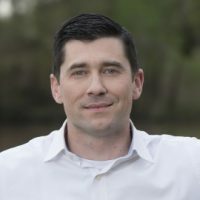 Over the years, Mr. Dugan has specialized in the area of complex litigation representing numerous consumers and third party-payors, including Blue Cross of Louisiana and other health insurers in cases against the manufacturers of Synthroid, Fen-Phen, Rezulin, Neurontin, Vioxx, Zyprexa, Bextra/Celebrex, Oxycontin, Ketek, Effexor, Prograf, Skelaxin, Nexium, and Suboxone. Mr. Dugan also represented the Louisiana Attorney General in the Synthroid, Baycol, Rezulin, Vioxx, and Ketek litigations to recoup medical costs the state Medicaid program expended over these drugs. As a result of his demonstrated skill and experience in class action and mass tort practice, Mr. Dugan has been appointed by the court to serve in key leadership positions in a number of large national federal court class action cases. Mr. Dugan received his B.A. from the University of Southwestern Louisiana in Lafayette, Louisiana and his J.D. form Loyola University Law School in New Orleans, Louisiana. He is a member of the Louisiana Bar and has also been admitted to practice before a number of Federal Courts including the Eastern and Middle District’s of Louisiana, Southern District of Alabama, District of Massachusetts, Eastern District of New York, United States 2nd Circuit Court of Appeal, United States 1st Circuit of Appeal, United States 3rd Circuit Court of Appeal and United States 5th Circuit Court of Appeal. 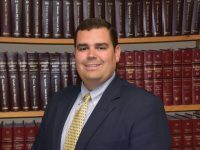 Mr. Dugan continues to be an active member in a number of well-respected legal organizations, including the Federal Bar Association, the Louisiana Association for Justice, the Orleans Parish Bar Associations and the Louisiana State and American Bar Associations. Mr. Dugan has also been named to the American Association for Justice Top 100 Trial Lawyers for the years of 2007 through 2016, National League of Renowned Attorneys Top One Percent 2016, America’s Top 100 Attorneys Lifetime Achievement, American Institute of Personal Injury Attorneys 10 Best Attorneys 2017, and Mass Tort Trial Lawyers Top 25 2016. Mr. Dugan currently serves on the Board of Advocates for Human Rights First. Mr. Dugan is married to Mrs. Heidi Dugan and they have two sons, James III and Jackson.